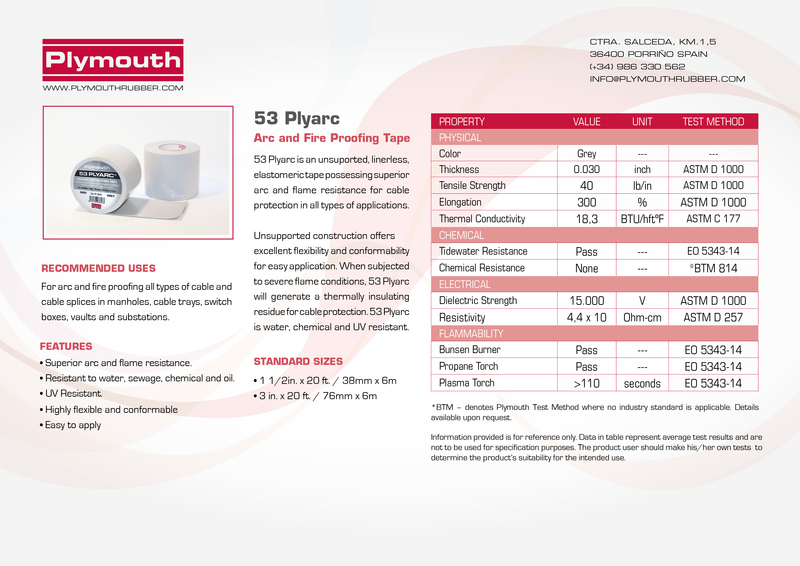 53 PLYARC ® – Plymouth Rubber Europa S.A.
A 30 mil (0,76mm) elastomeric tape that provides excellent flame and arc protection for all types of cables. When exposed to flame, 53 Plyarc will generate a thermally insulating residue for cable protection. Use on cable conduit where added fire protection is required. Excellent flexibility and conformability for easy application. Available in grey. Send us your inquiry, and we will contact you immediately. Copyright © 2015 Plymouth Rubber Europa, S.A.